The industry standard Park Tool Shop Cone Wrench is now available in a 22mm size to fit several current BMX hub designs. 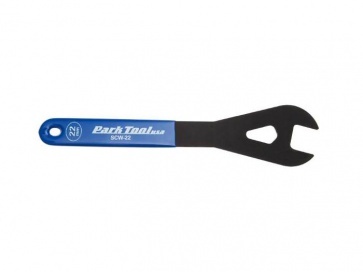 Parktool SCW-22 shop Hub con wrench 22mm. The industry standard Park Tool Shop Cone Wrench is now available in a 22mm size to fit several current BMX hub designs.